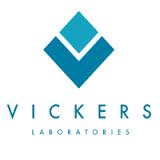 Vickers Laboratories have recently expanded, resulting in a serious shortage of internal, temperature controlled, and well-lit work areas. 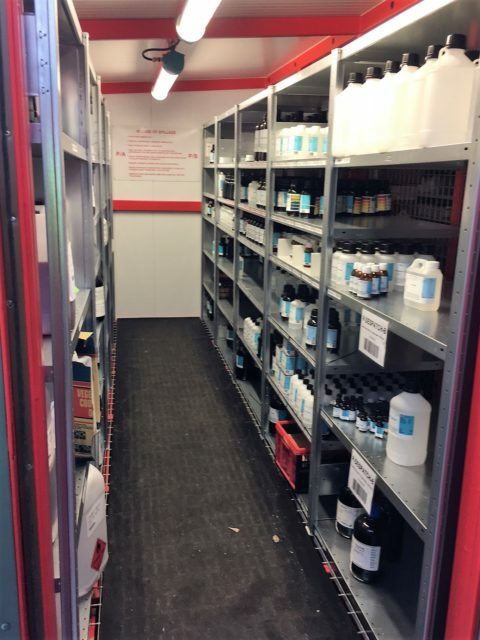 We needed to create space in which to safely store small flammable SKU's, typically 25ml up to 5L packs. 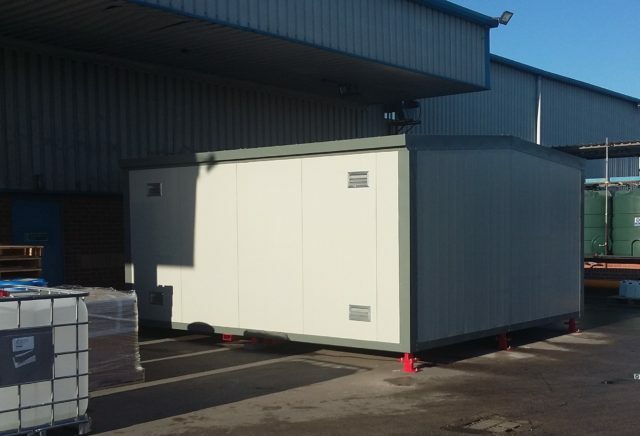 We also wanted to remove the risk of a fire or explosion due to the storage of such HFL within their premises. How was your enquiry dealt with throughout ? “The initial visits helped with our understanding of current legislation but with a practical take on what would be best practice for us within reasonable financial constraints. Numerous drawings were exchanged and we finally agreed on a design whereby the unit would be delivered in 2 halves and this would be joined on site. 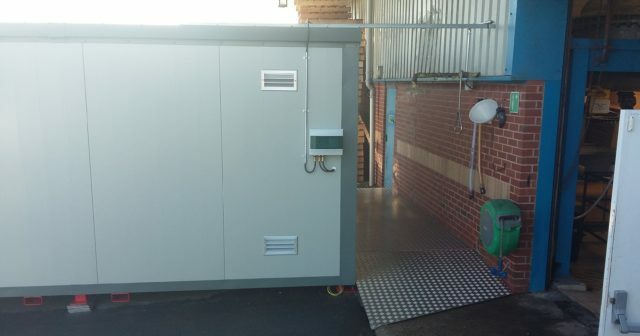 This made delivery possible as the desired unit was too wide for normal road transport”. 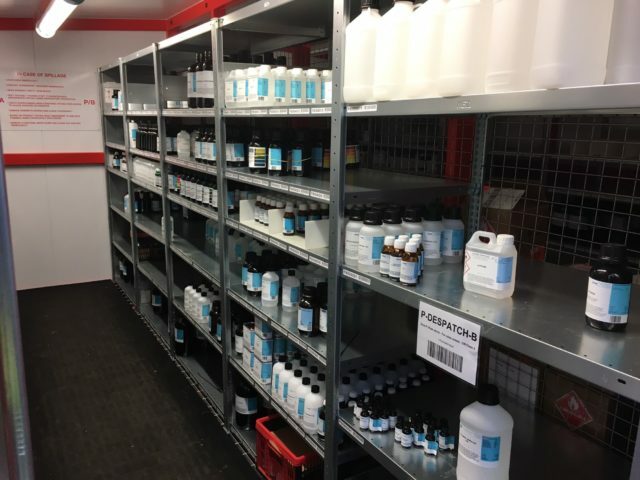 “We have now dealt with Chemstore on a number of projects and would have no hesitation in recommending them. We have been very impressed with the professionalism, willingness to visit and discuss ideas and modify plans to arrive at the design of the delivered storage vault. Workmanship has been very high, and whilst not the cheapest option we investigated, we feel that because of the technical support and quality of the product we received the investment has been very worthwhile. We were also pleasantly surprised at how well the new unit fitted in cosmetically with the original building”. Chemstore visited us several times and discussed a range of options for a number of projects on site. As part of this we tapped into their expert knowledge on chemical product storage and segregation. This really highlighted the need for a more thorough review of DSEAR and more detailed look at what we were storing and how it was segregated. 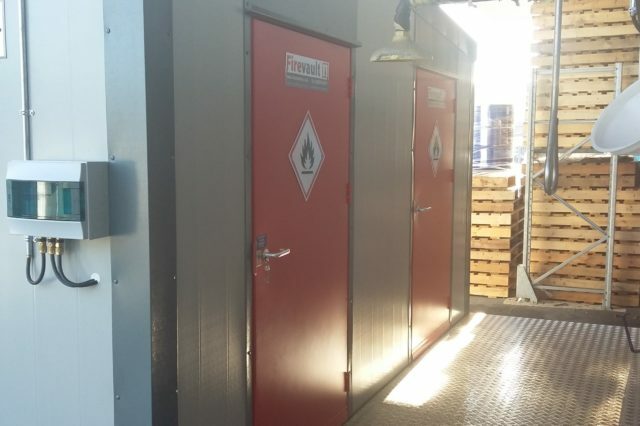 Some of the solutions offered were low, or even zero cost whilst the key to unlocking our puzzle was to purchase an external Firevault flammables store. 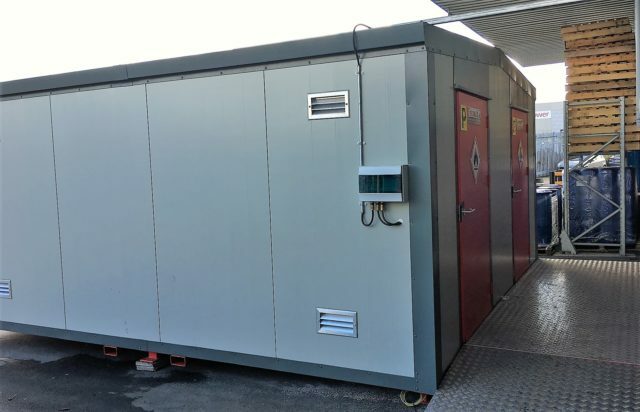 This allowed us to remove almost 3,000L of flammable materials in a very large number of small packs to a designated storage unit, external to the building and properly designed and rated to contain a fire.